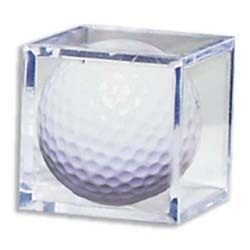 Heavy duty 2x2x2 acrylic cube holds one tournament size golf ball for display. Golf Balls are sold separately. Case with 6 Golf Holders Included.